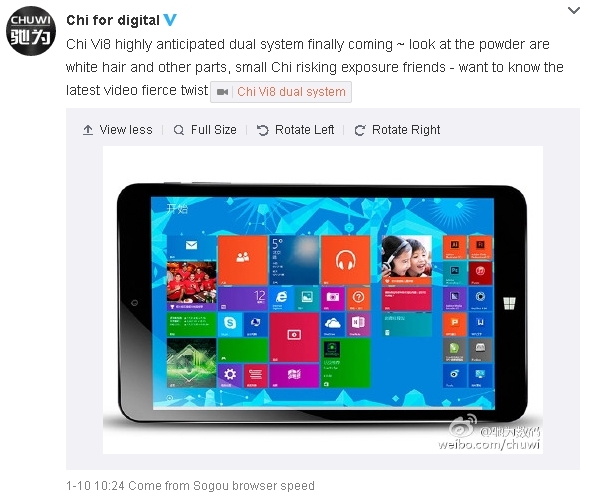 Want An Eight-Inch Windows Tablet? Wait. hallo. vielen dank für den beitrag. interessant ist für mich, wo ich eine dualboot firmware finden kann. This tablet is now available from several vendors . I bought the Windows version 8.1 , I hope a firmware update to qualify for the dual boot ! Is someone capable of translating this post? Only for Vi8 with serial numbers Q32G 221501 0000 to Q32G 22150103000. According to Google translate, these are the install files for the dual-boot version. I wonder if it would be possible to install these dual-boot files on the single OS tablet version.